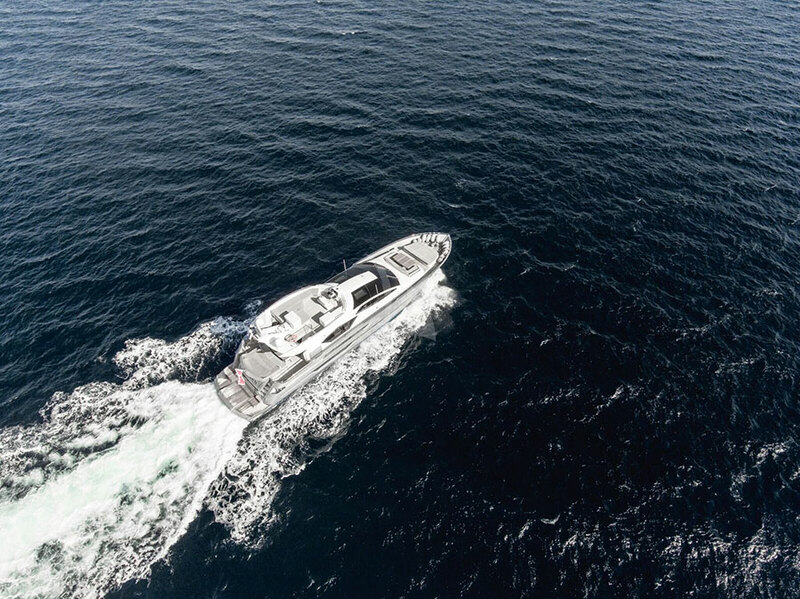 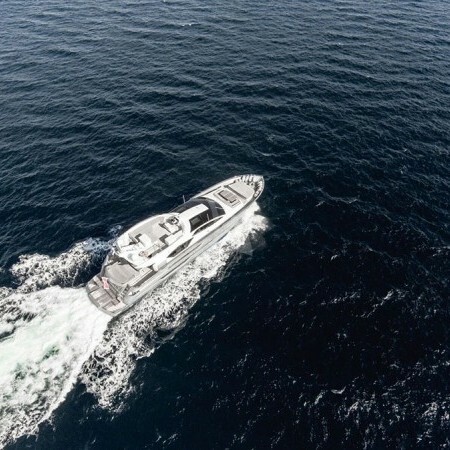 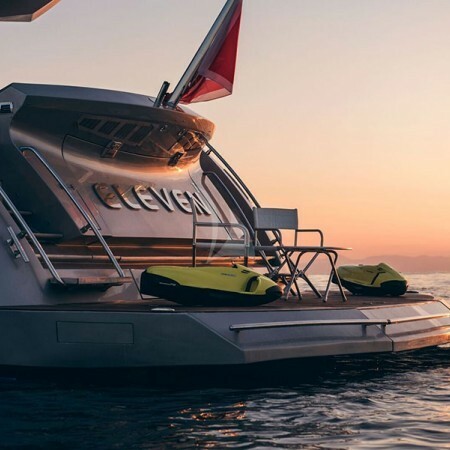 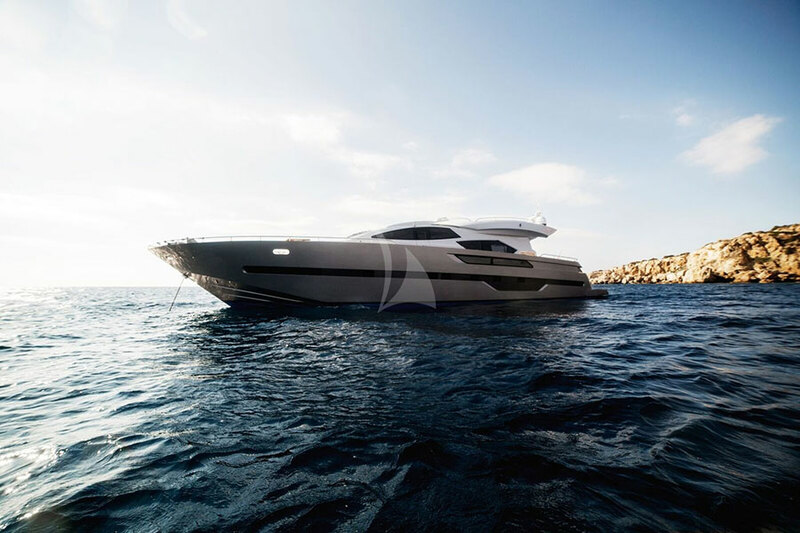 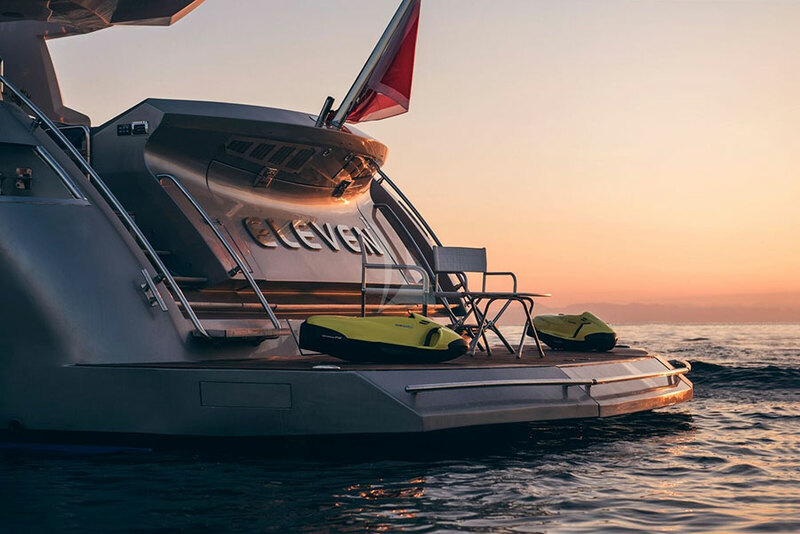 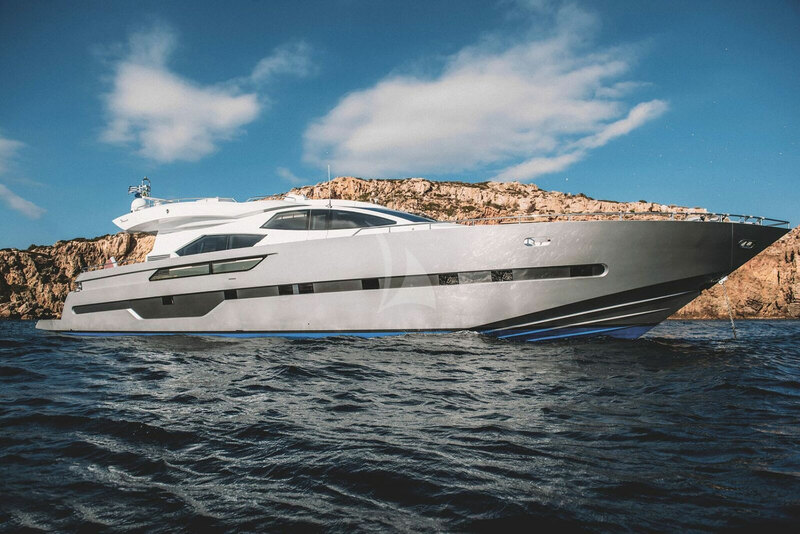 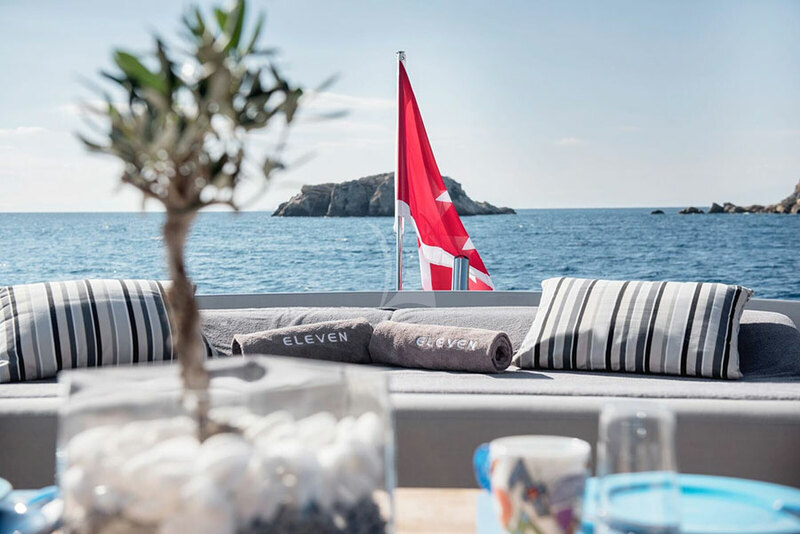 Eleven I is a high performing luxury sports yacht, with a maximum speed of 40 knots, making her the ideal yacht for speed lovers. 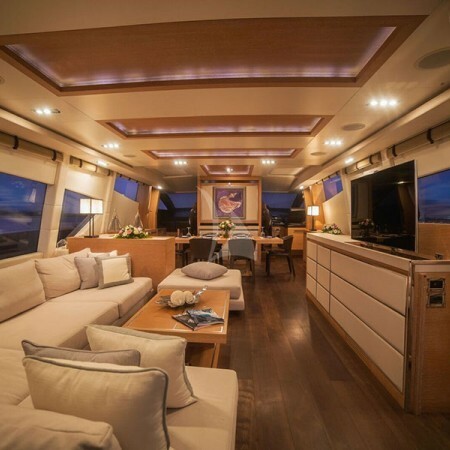 She has a light and stylish interior with elegant lines and crème colors. 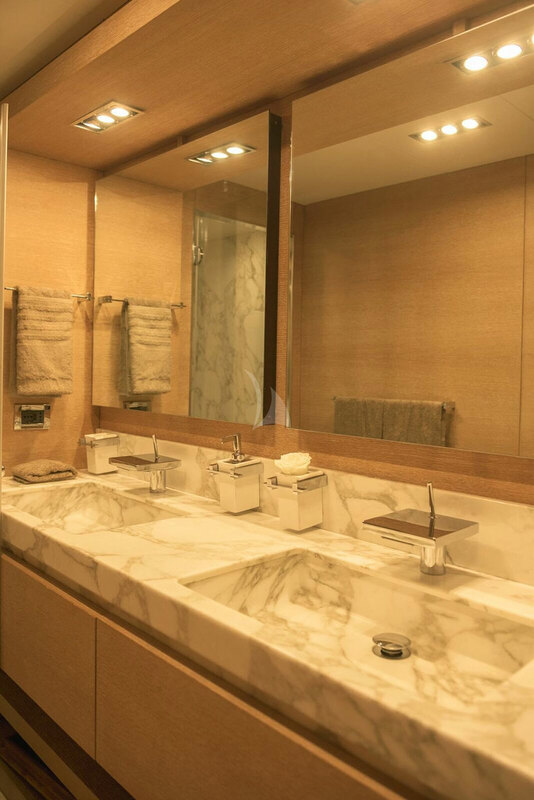 Her geometrical windows, offer unparalleled views and plenty of natural light. 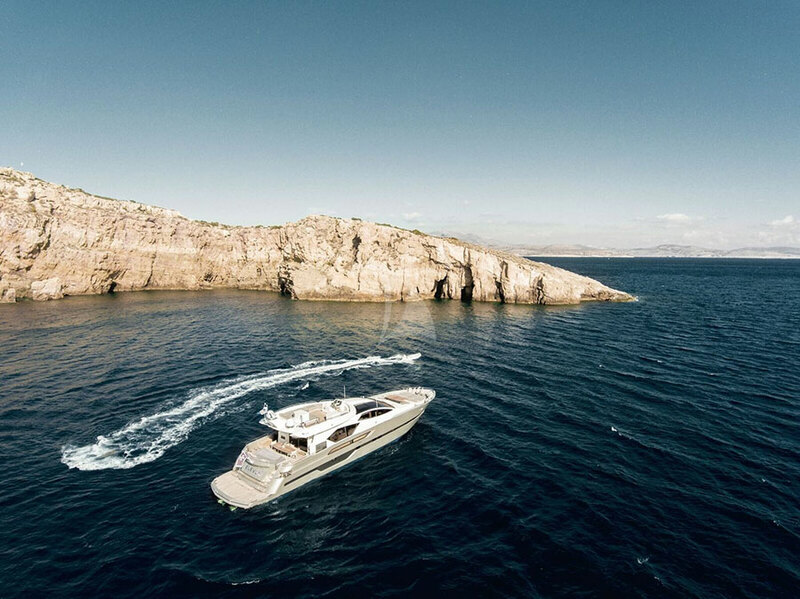 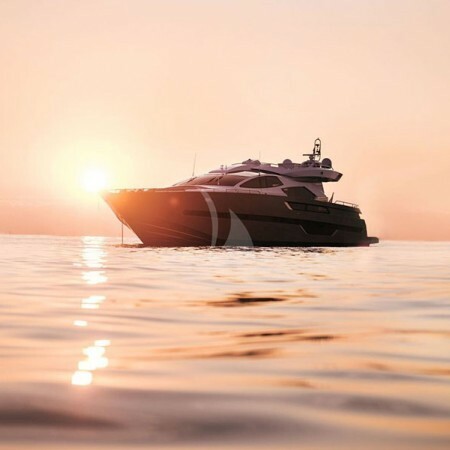 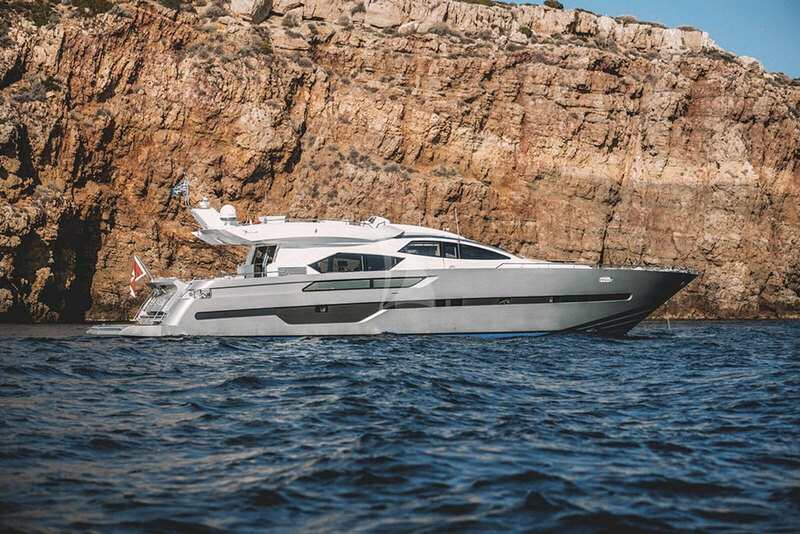 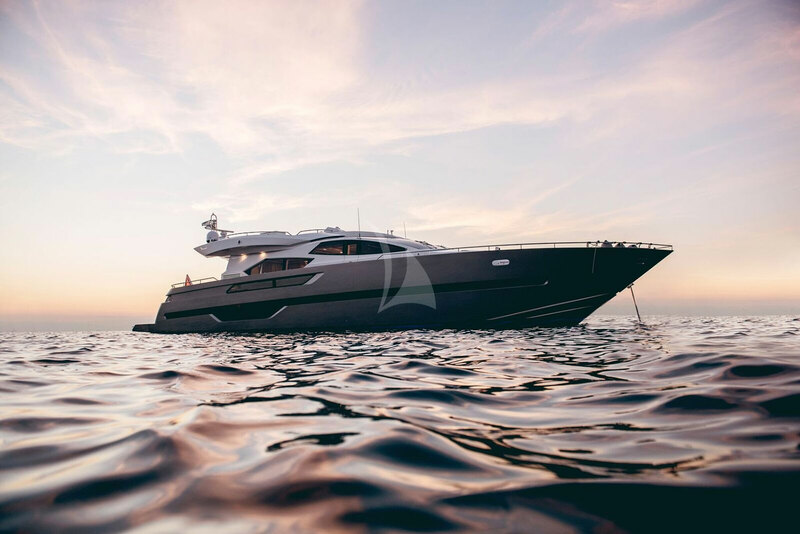 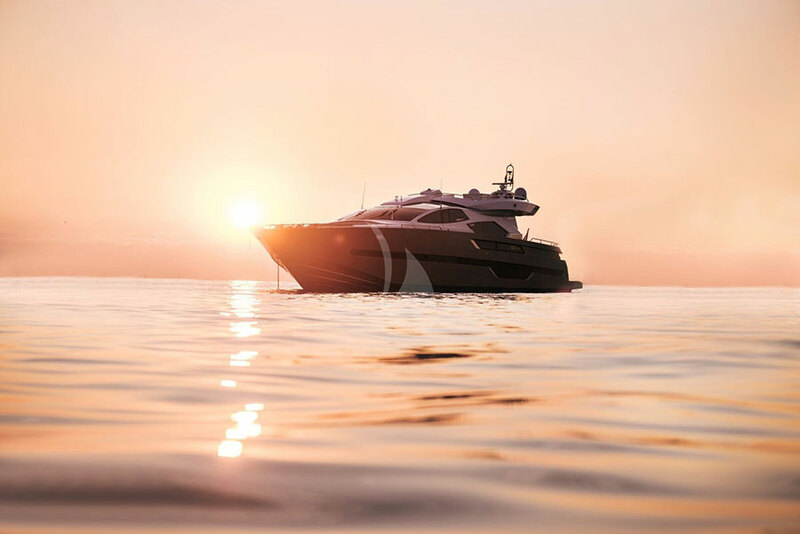 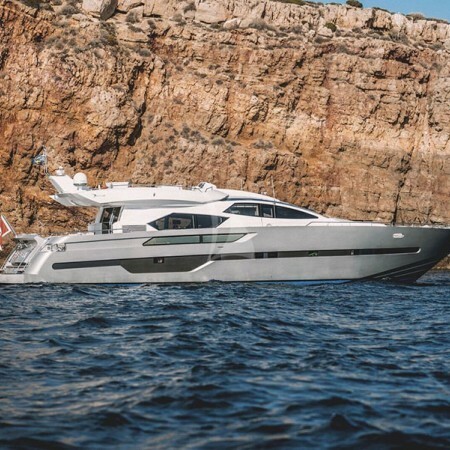 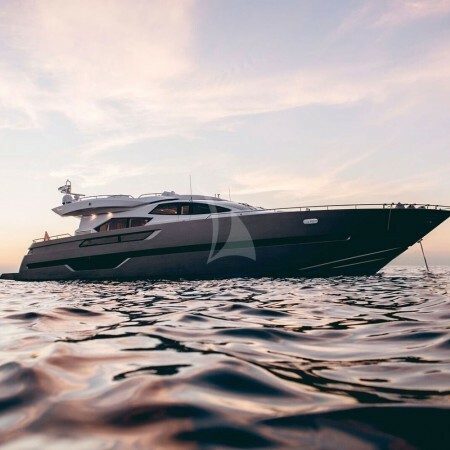 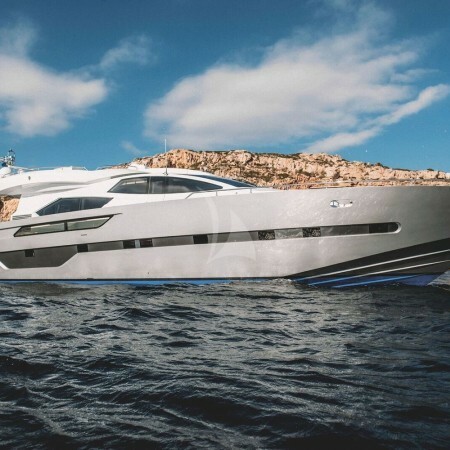 Outdoors, she features large sunbathing areas on the aft deck and sundeck ideal for lounging and relaxation. 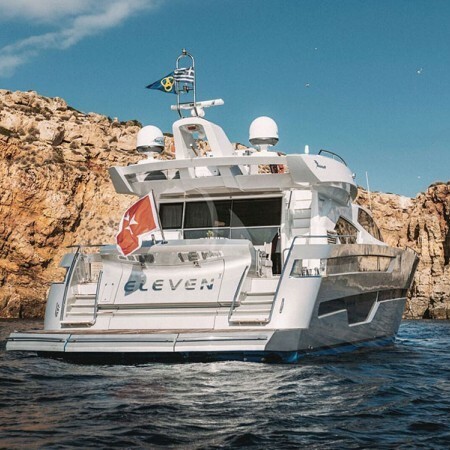 She accommodates up to nine guests in four comfortable staterooms. 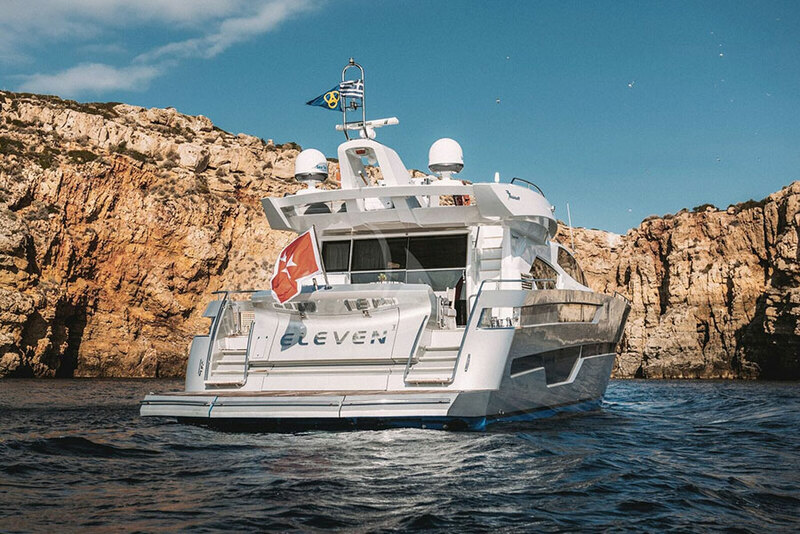 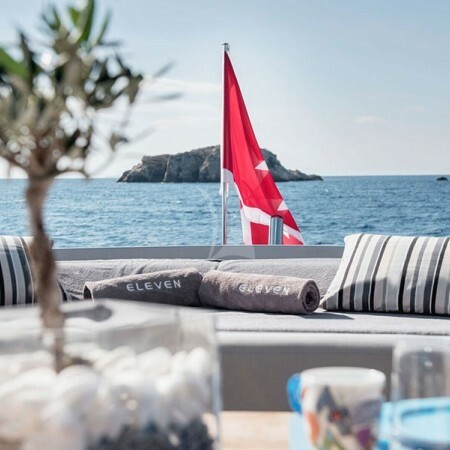 Eleven I has a light and stylish interior with elegant lines and a crème color selection throughout creating a classy atmosphere. 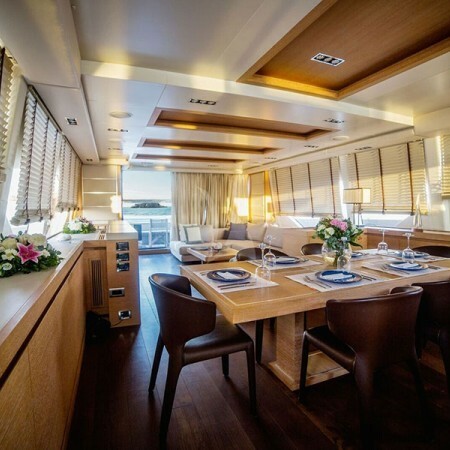 The salon is particularly comfortable and there is a large dining table that can sit up to eight guests. 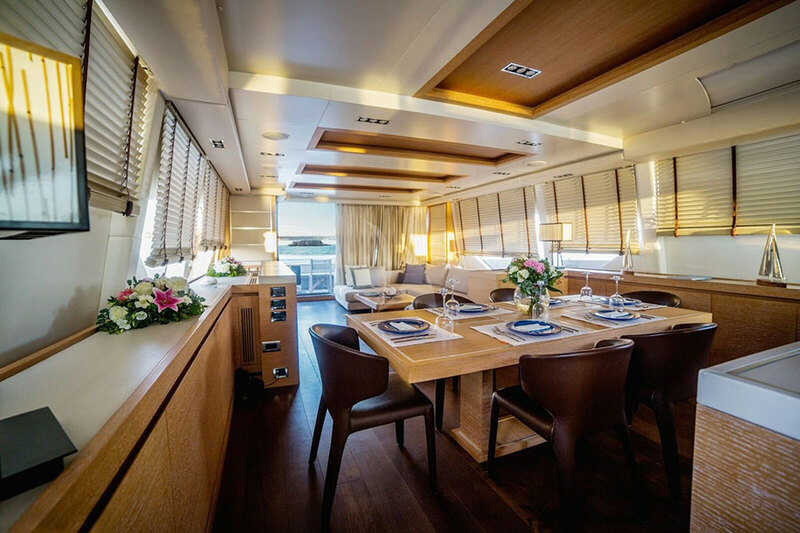 Her geometrical windows in the living and dining areas offer unparalleled views. 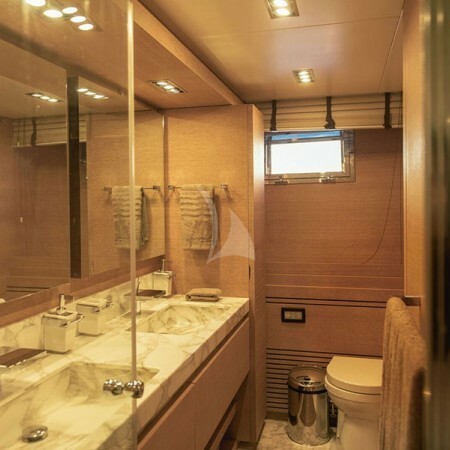 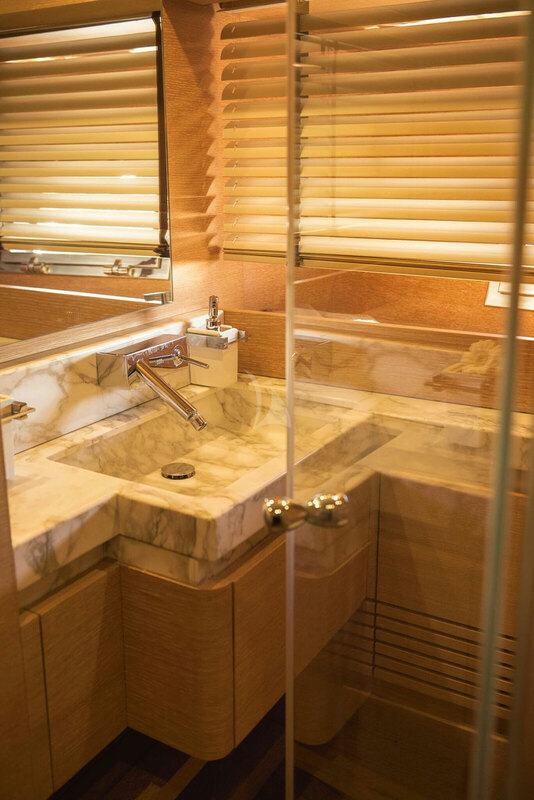 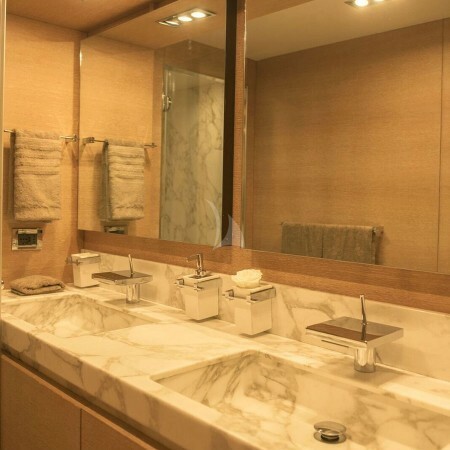 She accommodates nine guests in four luxury staterooms located on the lower deck. 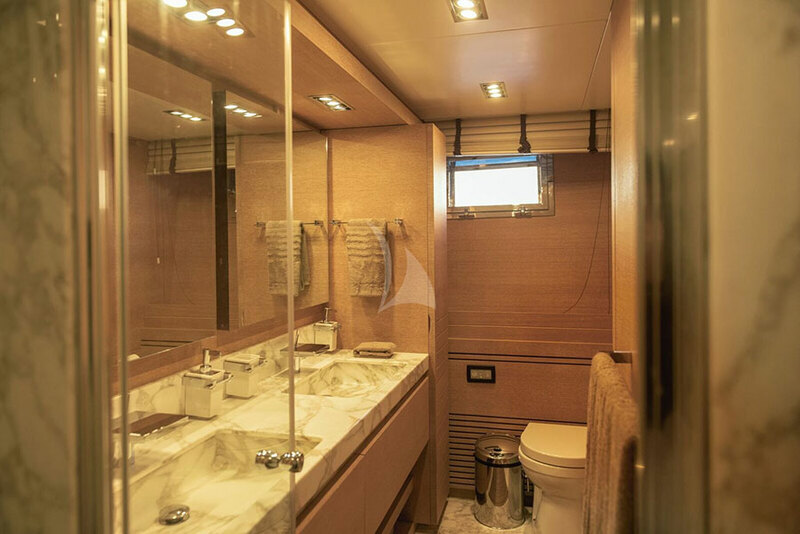 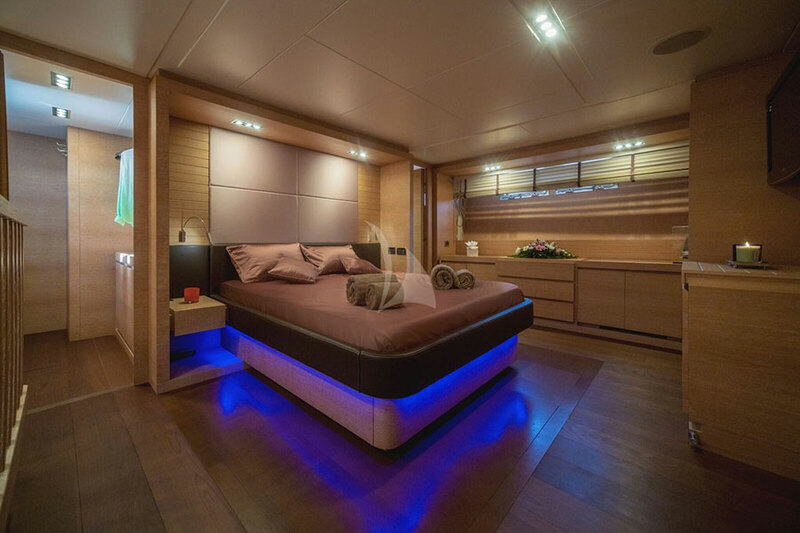 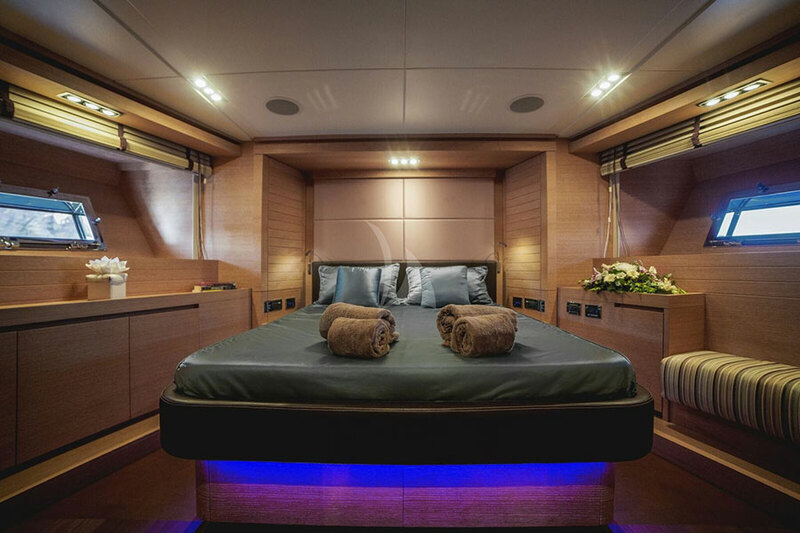 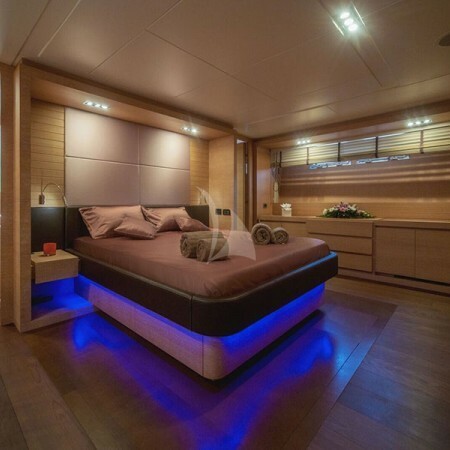 The Master cabin has a King size bed and also boasts a large walk-in closet and an en suite. 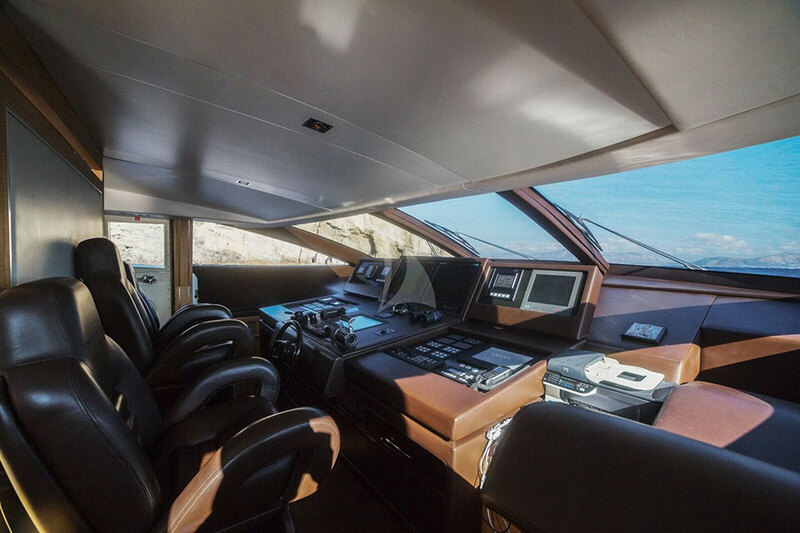 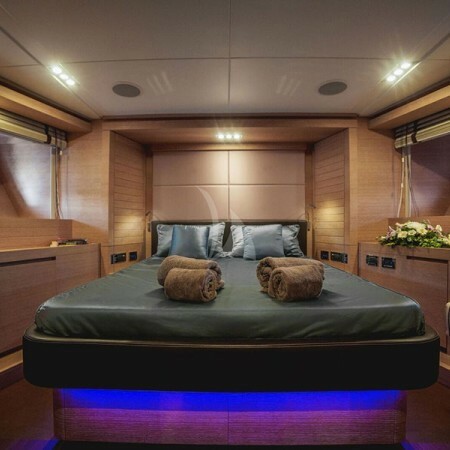 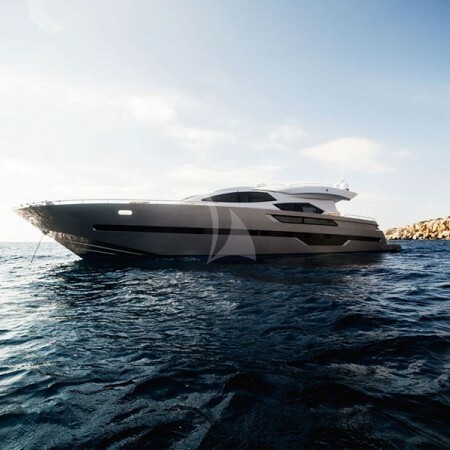 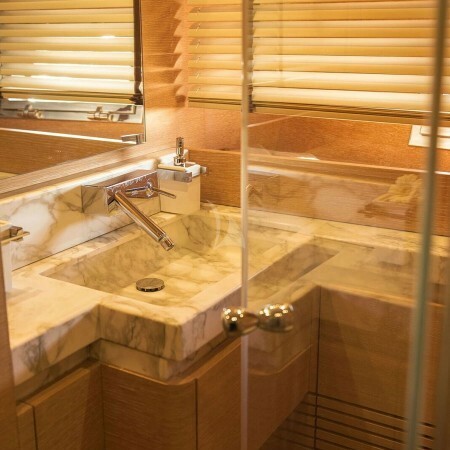 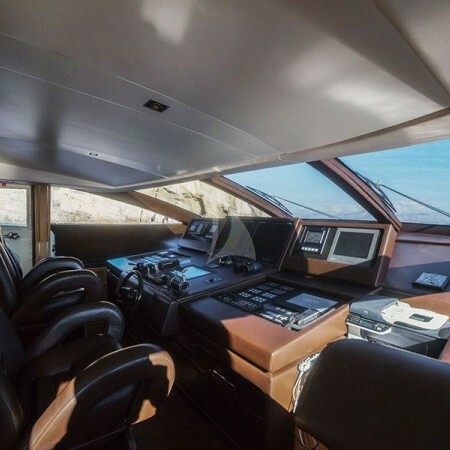 The yacht also includes a VIP cabin and two twin cabins each with a Pullman bed. 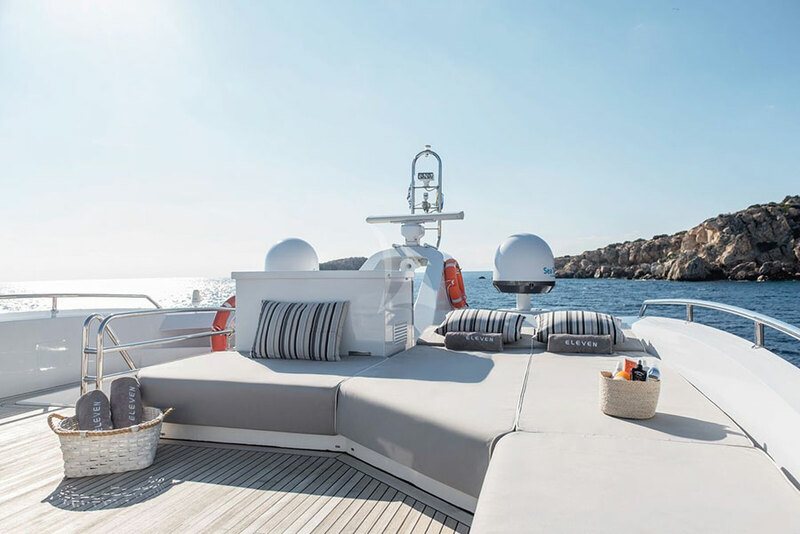 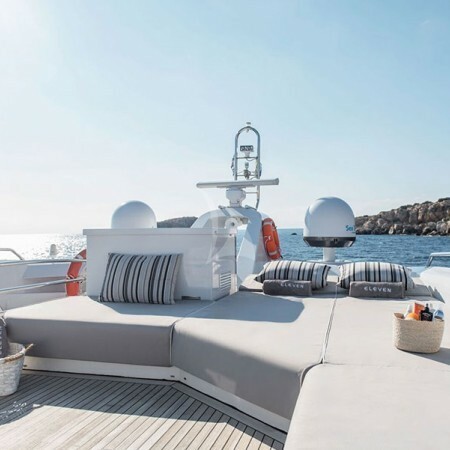 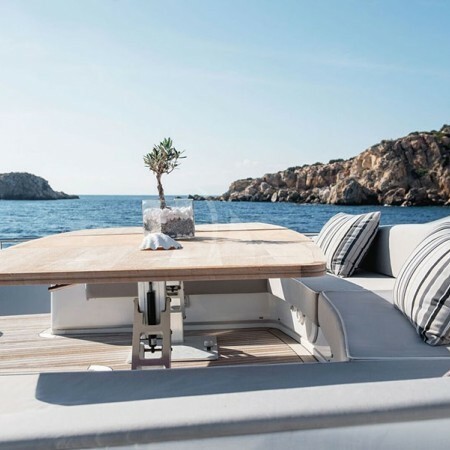 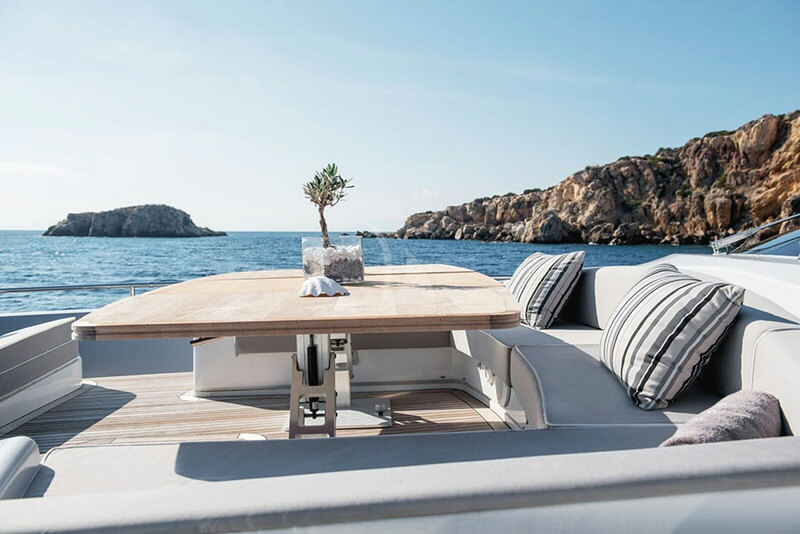 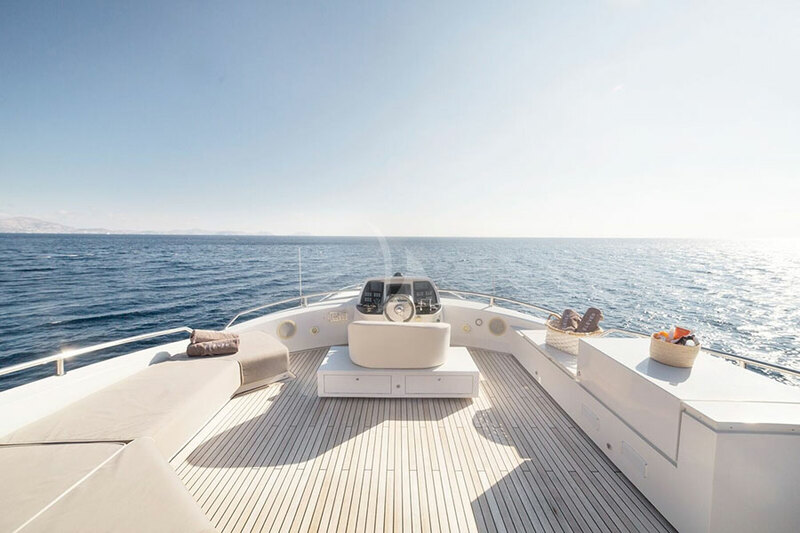 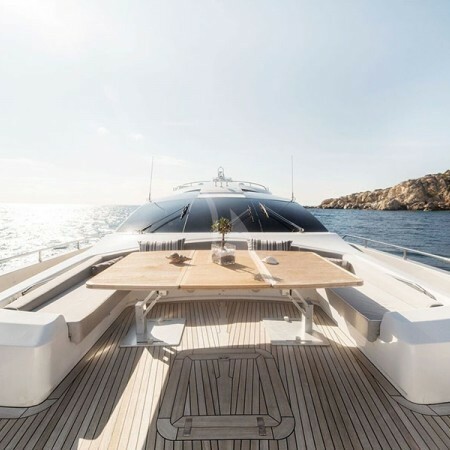 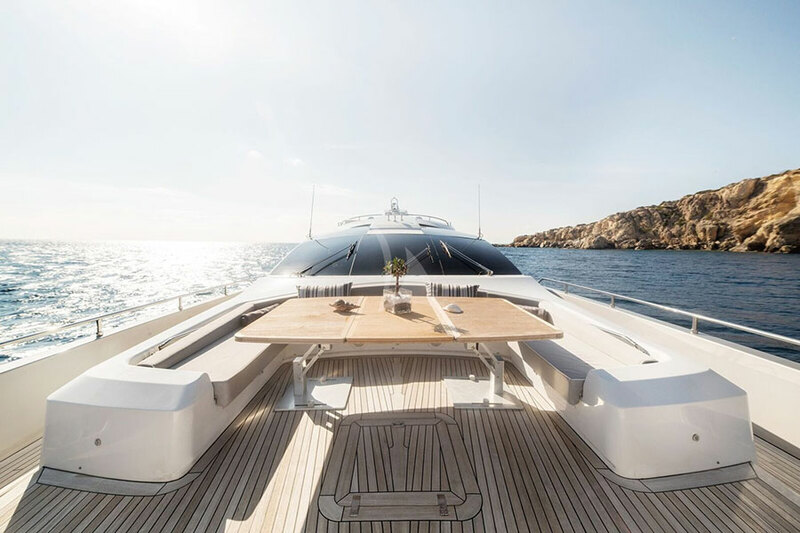 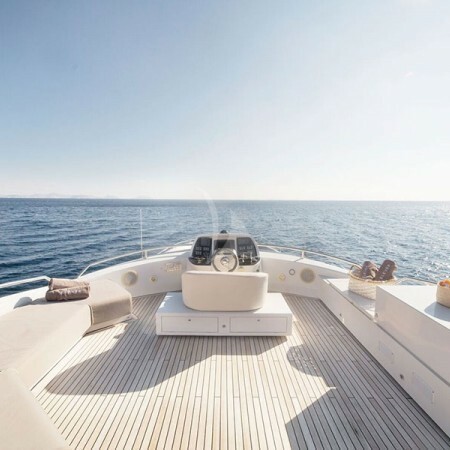 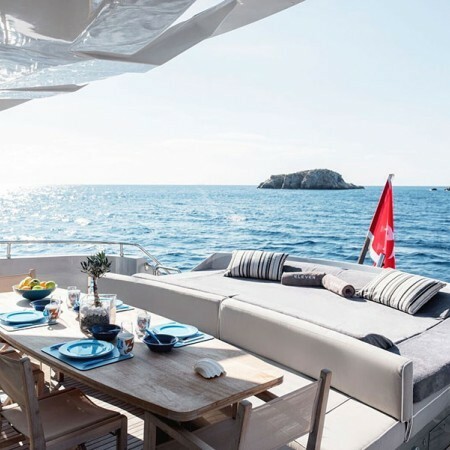 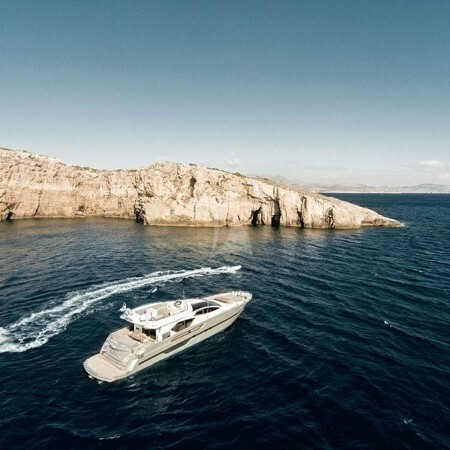 The yacht offers plenty of areas for sunbathing on the aft deck, in the bow and the upper deck. 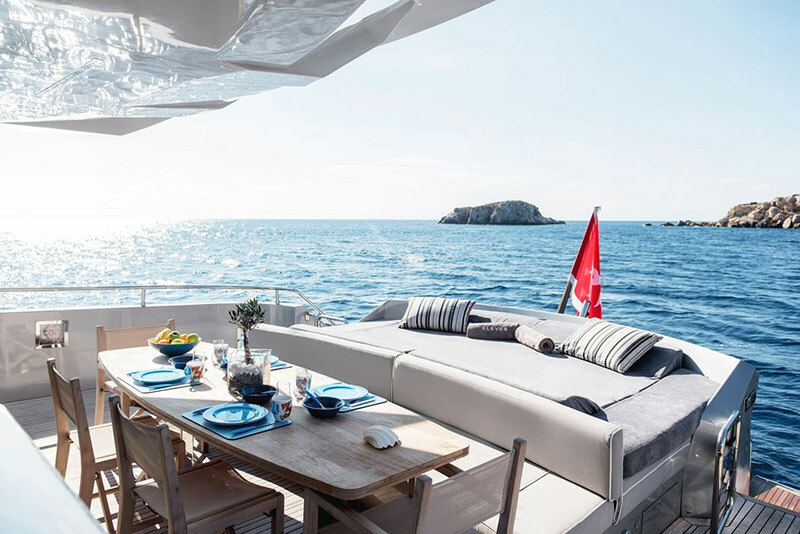 On the aft deck there are plenty of seating options for both lounging and dining. 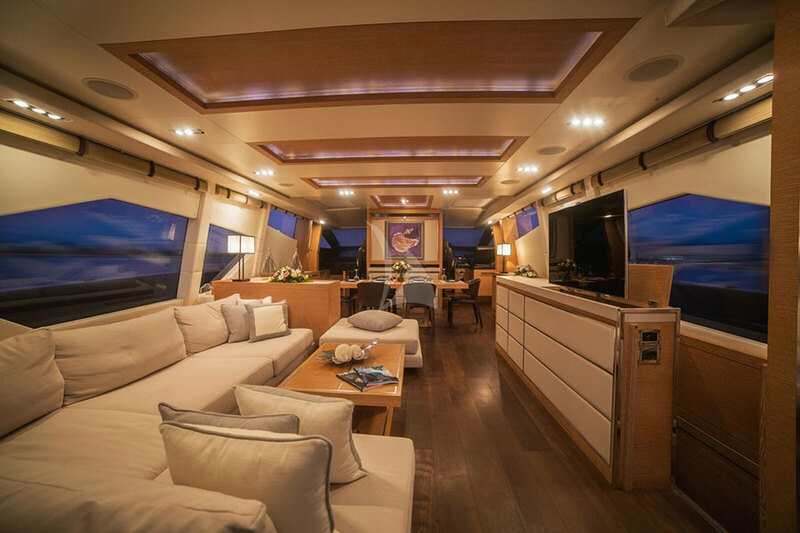 The upper deck has two comfy sofas ideal for relaxation.